Optimasit’s marketing company Marbella knows that blogging has established itself as a household word over the last few years, with everyone from wannabe travel writers to major businesses trying their hand at getting a few words out about their daily grind, their passions or their enterprise. Due to the increasing popularity of real estate websites in marbella, competition for web traffic in this department has taken on a new edge. It’s dog eat dog out there now that we are in the midst of the digital era, and with everything from the contents of people’s dinner plates to the innermost workings of their psyches making it onto the web, it pays to be ambitious; whether you aim to be a cut above the rest, or can only spare time to treading water in an attempt to keep up with the entrepreneurial Joneses, the need for an online presence that goes above and beyond a brand name and corresponding product listings is increasingly apparent. Despite this, you only need to have a quick browse on the net to see that many businesses have either not yet caught on, or don’t have the time, staff or know-how to create engaging content. As an online marketing company in Marbella we know that in today’s market, those will be the first businesses to flounder and consequently drown. It is common sense that the more competitive your industry is, the more effort you are going to have to put in to be different. If your products are particularly interesting, you certainly have a head start, but there is a lot more you can do to grab the attention of your customers and hold it. Step one is to ‘humanize’ yourself. Sure, you have faith in your products and perhaps your monthly sales reinforce it. This doesn’t mean it’s time to put your feet up. It is important to make sure that your customers have more than one reason to visit your site, otherwise they will only visit when there is something they need – this could be once every six months or less. But if you can turn your site into an informative, engaging one that your customers can come to for reliable information and/or some light entertainment, they will have good reason to come back a lot more frequently. You cease to be merely words on a screen, or a means to an end. If you can engage them to the point where they click the ‘follow’ button on your Facebook page, you’re onto a winner. Unless you’re adding new products and services to your site every week, a blog is one of the best ways to keep yourself visible online. If you are like the average business, you probably only have a few pages – those that are necessary for your business to operate normally – a blog will be the perfect addition to a site like this because it is not considered a basic requirement. It gives your customers the impression that you are not only interested in making money, but that you care enough about your industry to take some time to write about issues and news related to it for the benefit of your customers. It tells your customer that you will go the extra mile, and that can lead to more faith in both your company and the knowledge that is the foundation of it. Blogs attract traffic, and Google will list your company much higher in search rankings if it sees that you have regular content going up. What’s more, the attention you pay to including the keywords that people search for (SEO) will mean you rank even higher. If you know your industry – and you probably do – it shouldn’t be too much trouble to work out what your customers are searching for. The more times these words appear in your blog, the more traffic-friendly your site becomes. If you have a comments area on your blog or you are sharing your blog on Facebook and other social media sites, you are likely to have options for your readers to share their thoughts. This is a great way to get honest feedback (most people are much more free and easy with their opinions behind a screen), gain ideas and build a rapport with current and potential customers. If they see that you are listening to them and taking the time to consider what they say, they will come back to you every time over an unknown competitor. You may find ways to build your business that you hadn’t previously considered. After all, your customers are telling you not just what, but also how they think. It’s a win-win situation for all parties. If you make sure a substantial portion of your blogging content presents well-researched solutions to industry problems then your customers will perceive you as an expert in your field. A caring one at that! Once you have consistently engaged your customers, you will be able to strategically link your blogs back to products without turning them off, thus directly impacting your sales for the better. Online marketing isn’t only SEO consideration though. It may be a little overwhelming to try and take in all the factors related to successful marketing campaigns, but whether it is or it isn’t, the fact remains that comprehensive strategy is the recipe for success. 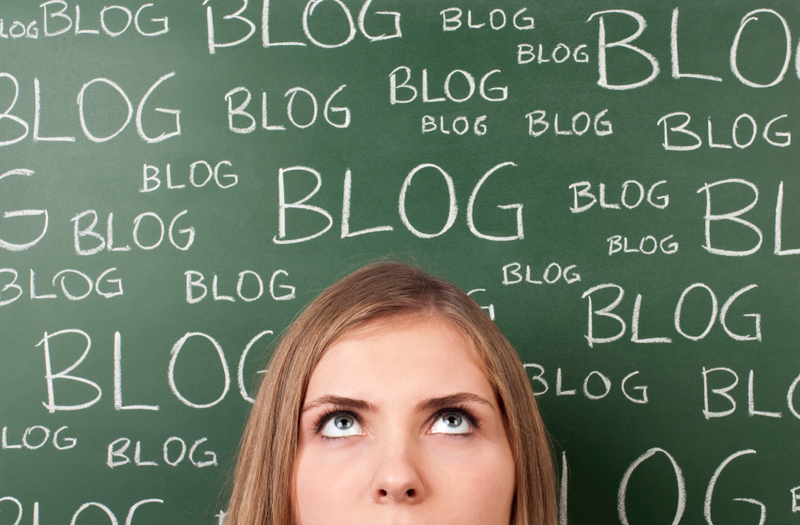 A blog is certainly a great place to start. Your blog can increase your social media presence monumentally – and if you can be the lord of your manner within the relevant social media channels, you are half-way there. Blogging doubles up as public relations. You can take the product or service you wish to promote and create a story around it that makes your customers want to look. It’s not the hard sell that they are afraid of, but a pleasant coercion based around their needs and requirements, and they could be learning something along the way if you’re doing it properly. If you can also promote allies within your industry while you’re at it, they will not only thank you for it but may return the favour. This creates a supportive online community and your customers will recognise you as a willing participant in that. If you can interest your potential customers on even one occasion they are likely to sign up to your mailing list, which is essentially your foot in the door ongoing. This is a much more solid basis for sales and so your blogs should always be accompanied by a prominent sign-up link. If you’re not confident in your ability to create the kind of content needed to remain competitive, or simply don’t have the time or inclination, all is not lost. Optimasit are as passionate as we are knowledgeable when it comes to marketing your business effectively. You can outsource your blogging to us – it’s just one of the many services we offer to make you stand out from the rest.